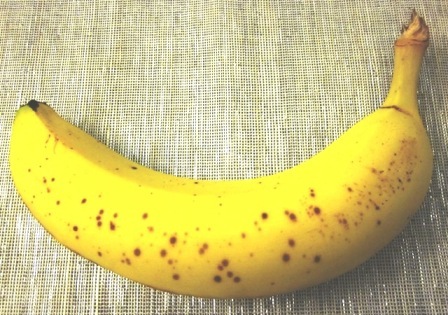 Has your banana gone brown, or even black? Well don’t throw it away, you can add to some delicious protein muffins or freeze it for smoothies. Some fruit freezes badly, banana is not one of those. Let me tell you a story. I came home from holiday to find a very sad and lonely single black banana in my fruit bowl, the old me would have chucked it in the food bin and thought no more about it but oh no not now! I opened it up to find it perfectly yellow inside, but I wasn’t in the mood to eat it. So I chopped it up and put the pieces in a freezer bag and now it lives in small chunks in my freezer, ready for when I have my next strawberry, pineapple and banana smoothie. I love that smoothie as an energy blaster in the morning and even more I love the fact there is no waste! Try making some banana protein powder muffins. Bake for about 20-25 minutes or until an inserted knife comes with no mix on it.